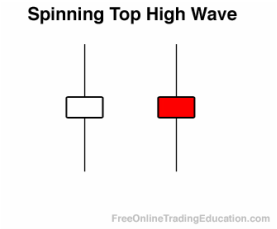 A Spinning Top Wave, also called a High Wave candle, is candlestick that has an open and close price near each other which produces a small real body and color is of no importance. They also have long upper and lower shadows that significantly exceed the length of the body. 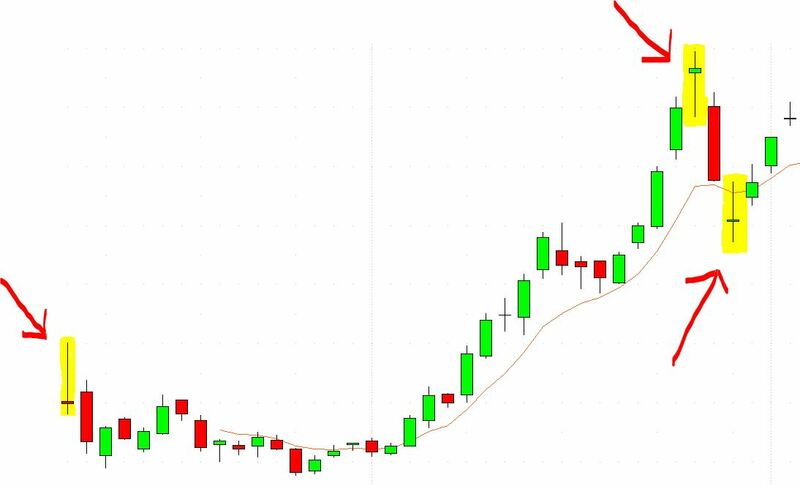 These types of candlesticks indicate indecision and subsequent consolidation. Technical analysts will often watch for Spinning Top High Wave candlesticks and then "join the sidelines." After such a volatile session, traders will often wait for additional confirmation of an upward or downward price movement.